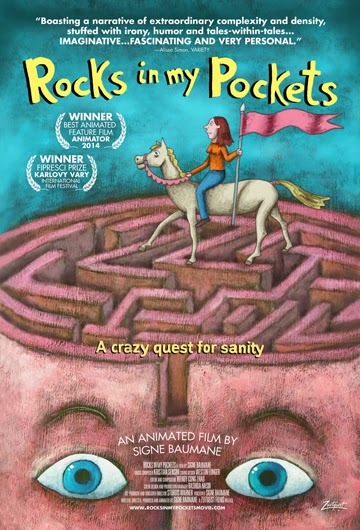 Rocks in my Pockets- Indie animated feature final day in Cincinnati today! Tonight is the last night of screenings in Cincinnati for the independent feature "Rocks in my Pockets" by Signe Bauman. You guys NEED TO GO TODAY. Why? 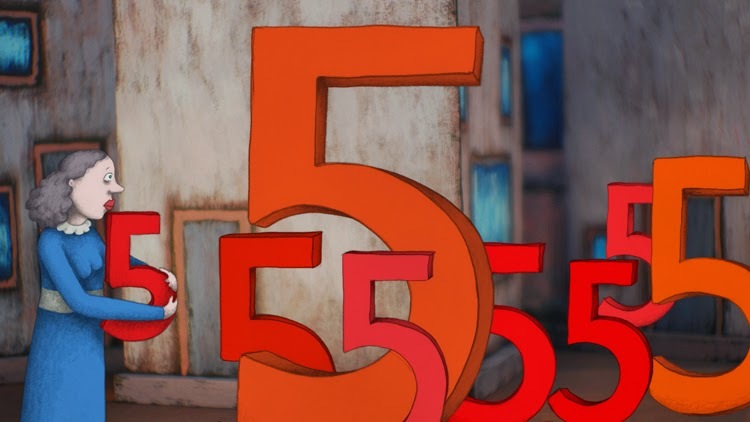 It's an indie feature and we need to support each other, But aside from that this is an animated film that deals with topics like depression and sanity which means it is definitely interesting and worth watching- this is the kind of film we need more of! What is even going on here I am dying to find out!!!?? "'Rocks In My Pockets' is a story of mystery and redemption. The film is based on true events involving the women of my family, including myself, and our battles with madness. It raises questions of how much family genetics determine who we are and if it is possible to outsmart one’s own DNA. The film is packed with visual metaphors, surreal images and my twisted sense of humor. 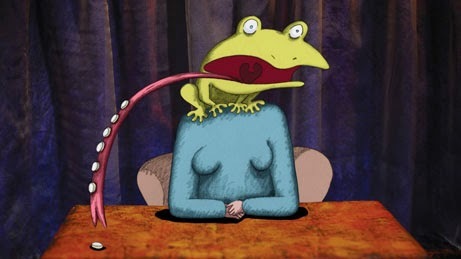 It is an animated tale full of art, women, strange daring stories, Latvian accents, history, nature, adventure and more. I would love to hear what you guys think after you see it- since I am out of town I can't see it until next week so I'd love to hear your reviews!